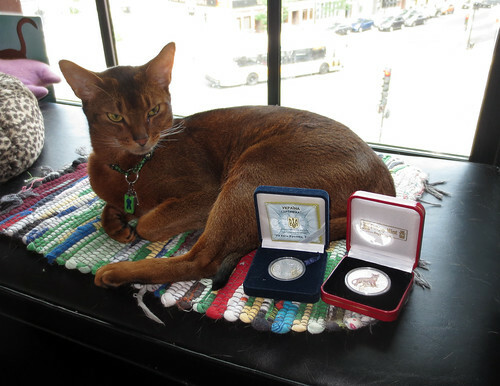 I have several coins that feature Abyssinians. 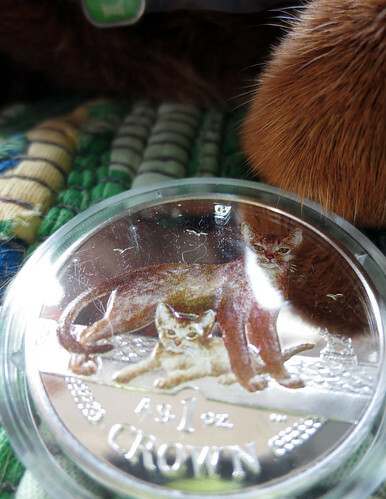 One of my favourites is the Pobjoy Mint Isle of Man Abyssinian coin from 2010. 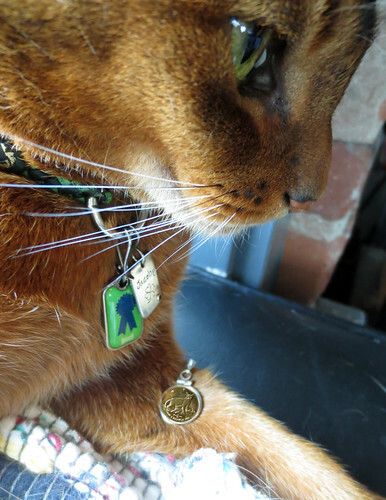 I have the one ounce fine silver coloured version. 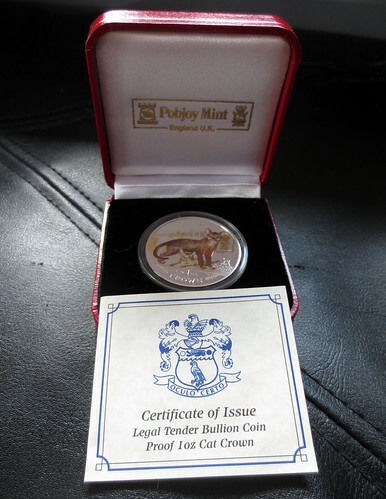 I also have a 1/20 ounce gold bullion version. 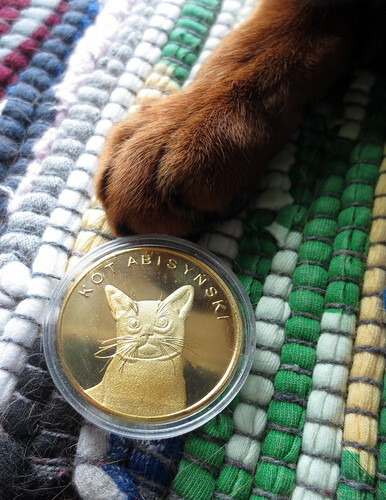 Then I have this slightly odd Polish Abyssinian coin. This next one isn’t exactly an Aby, but it’s really gorgeous. 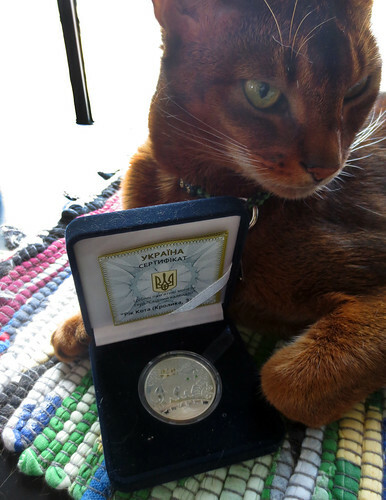 It’s a Ukrainian one ounce fine silver Asian zodiac year of the cat fine silver coin (some calendars use the cat instead of the rabbit). 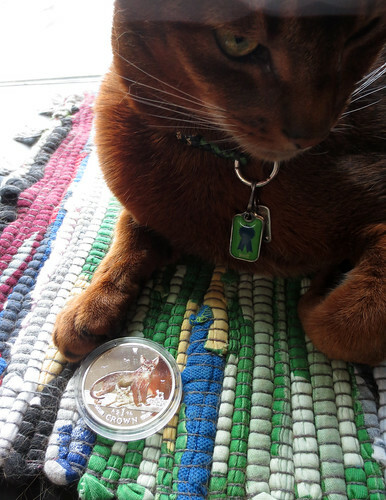 The cat has green garnets for eyes. 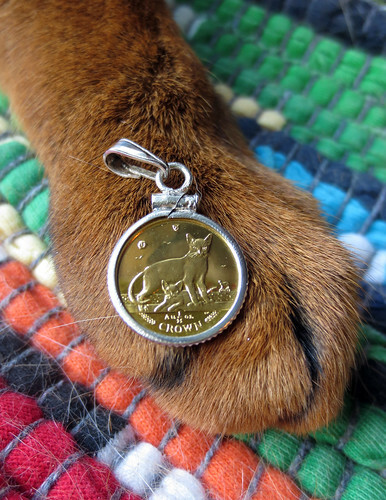 Finally, i have this last one that isn’t exactly a coin…but it’s in the same family. 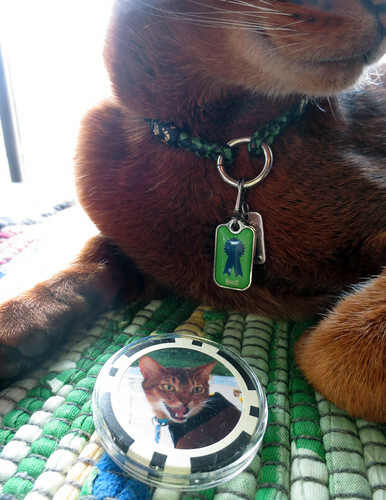 It’s a poker chip with Gun-Hee’s photo on it. Jacoby seems to like it.